2When the godly are in authority, the people rejoice. but one who demands bribes destroys it. If you've been following the series, you know exactly what I'm about to say... NIGERIA OOOOOOOOOOOOOOOOOOOOOOOOOOOOOOOOOOOOOOOO!!!!! Do you know, I'm secretly afraid of having children that are just mini tyrants? I always feel bad when I see a child throwing a tantrum and getting away with it, or a child that's so obviously spoilt, because it usually reflects badly on their parents and upbringing. Cakes has already said he won't even stand for nonsense, so future Muffin and Pumpkin (and maybe Sweetie Pie), just start behaving yourself now. For all our sake. Okay, let me just say that I think this chapter was a little weird and random. I can say that, right? If you don't believe me, go and read it yourself. Despite the randomness, I thought the following passage was interesante! 7O God, I beg two favors from you; let me have them before I die. 8First, help me never to tell a lie. Do you think you could ever pray that God shouldn't make you all that rich? This guy here (it wasn't Solomon who wrote this chapter) prayed exactly that. He didn't want to be so rich that he wouldn't "need" to depend on God for provision. Sometimes I think about it - it's easy to get very comfortable when you have money and begin to feel like you don't need to depend on Him as much. At the same time though, he also prays that he isn't too poor that he goes and commits a sin. That's more understandable, right? I think this is a good line of prayer - praying that you don't have to handle what you cannot bear, and also what can be too big for you to handle or take care of. 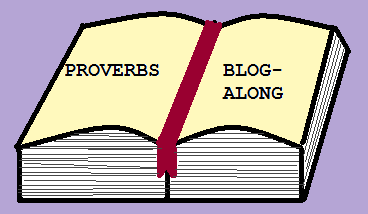 I said I'd make sure to finish Proverbs by the end of this month, right?! 31 tomorrow and we're done!!! Just 3 things I noted. First of all, lol at those names. You will probably spoil them a lot out of love. If you want to kill me,tell me to babysit a tantrum throwing prone kid. Second,Solomon didn't write all of the Proverbs? Thats news to me. Third. I think the key word is constructive. However some people don't take criticism whether constructive or not well.They just flip out. Fourthly, Food for thought on not being too rich or too poor. Lastly( I no I said 3) Yes Lord! Help me not to tell a lie. But isn't it weird that some people actually feel better when you lie to them. You say the truth and then they flip out.